Large pure white flowers, strong stems with attractive dark green foliage, 4-7 flowers per stem, 110 days to force. 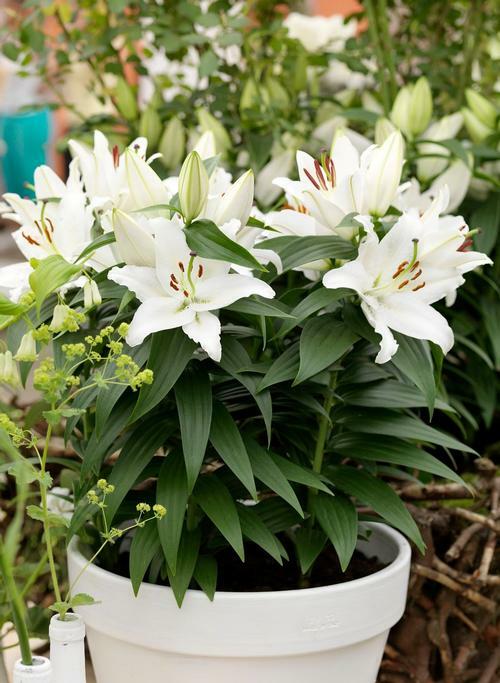 Genetically short lilies especially suited for pots with large fragrant, long-lasting flowers. Plant 2 bulbs per gallon.